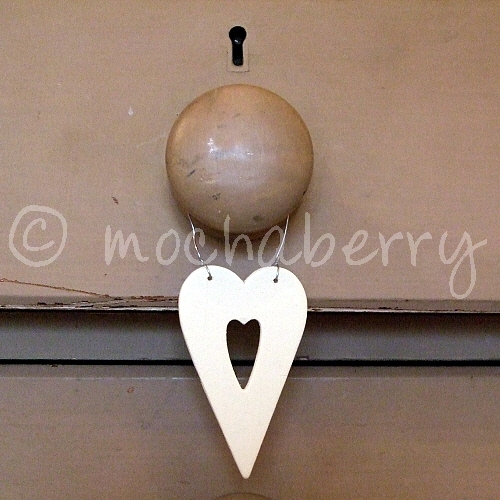 Lovely cream shaker style heart, perfect to hang anywhere in your home. A cute finishing touch. 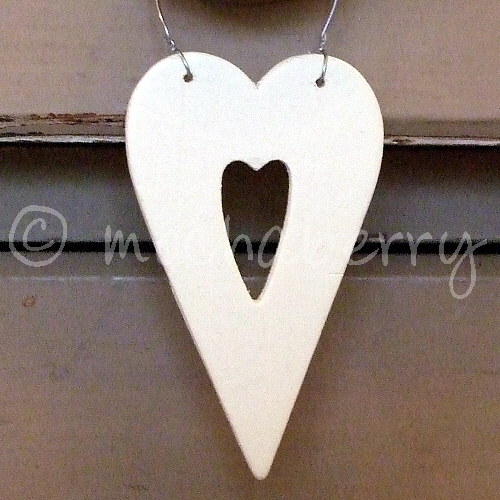 Thin cream wooden heart with a cut out heart in the middle that hangs from a silver coloured wire loop.